A two double bedroom two bathroom, river-fronted, warehouse apartment benefitting from two balconies facing directly out onto the river front. The property is located in Tea Trade Wharf, one of Shad Thames' premier, river-fronted warehouse conversions. 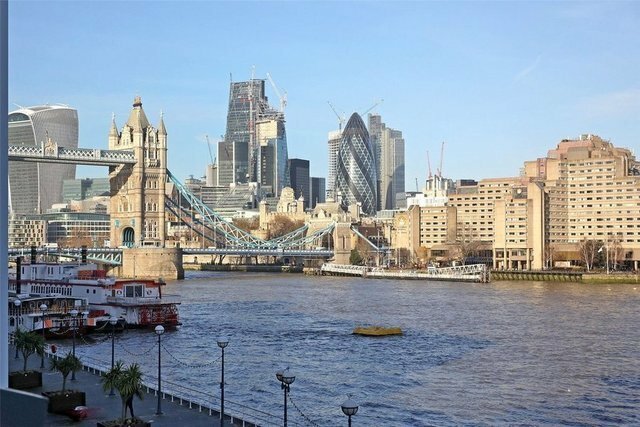 It offers views of Tower Bridge, the River Thames the City skyline, and Canary Wharf. The apartment benefits from a large reception room with direct access to the river facing balconies. There is also a separate, fully integrated kitchen and a spacious entrance hall. Both bedrooms are doubles with fitted wardrobes and en suite bathrooms. The apartment has high ceilings, exposed brick work and is in excellent condition throughout. Tea Trade Wharf has 24 hr concierge, one secure car parking space, lift access and use of a communal gym and swimming pool. The development is located along the river-front in the heart of Shad Thames, close to all the bars and restaurants within the area. London Bridge (Northern and Jubilee lines and National Rail Services) and Tower Hill (District and Circle lines) stations are all within easy access.